God wants to give us a miraculous catch in waters we have already fished in. we do not put confidence in the outcome but in God. We need to look at his face and not his hands. Luke 5- Jesus was preaching in the temple and read that famous passage from Is 61. Jesus was challenging their views on the prophets. Beginning something is very difficult. Getting momentum is hard whether it’s a book, job, diet, etc. Jesus was moving through the land and see people being healed. Jesus knew he was not a one man band and gathered people who will establish local churches across the land. Jesus knew what he was doing and we see that in Luke 5. He did not come to build the community out of the old one. He was challenging their view of the prophets. This upset people. Just as they rejected the prophets, they were rejecting him. There was no place for old wineskins. What was coming was far greater than what was before. The kingdom of God is advancing and like a fermented wine. This is a new dynamic time and God is doing a growing fermentation. Don’t look back to the older days. Don’t look back but look forward to what God is fermenting here. I’m not saying the past is not important. Isaiah built memorials for God’s faithfulness. That is not old wineskin but celebrating the future. It’s time to become flexible. Luke 6: rock and sand. Hear the word of the Lord. A new wineskin is established in the word of the Lord. There is a historic document that must be established. We don’t throw that out. Always establish on the word and not on culture. Don’t try and be culturally relevant and lose out on the word. Don’t build on traditions or sentiment- get caught up with things that are not important. The word of God stands for all times. Jesus came to some very discouraged fishermen. That was his focus and not the crowds. Jesus knew what he was about. Jesus went out on the boat with Peter. He wanted time with Peter. God knows each one of us. Jesus wanted Peter to experience something great because he was going to do something great with him. God also breaks into our ordinary life- into his boat- school, college, work, etc. That’s where God breaks in. God has gifts to be used in the world place. This is the time God moves in and breaks in. it’s better when we are weak, we get there quicker. When Jesus asks Peter to put back out to sea. These men were alert for opportunity. Be ready in season and out of season. They took their nets with them. They were ready. Are you ready? Are you off somewhere else because you are tired of waiting? Let God know where you are. Despondency can lead you to retreat. Peter was already marked out. Wonder what conversation Jesus and Peter had. The call of God does not come in with a C.V. The call of God is defined by how you live your life. Jesus sends them back to the same place. The strategy is right. Let your nets down again. Do it. The breakthrough will come. 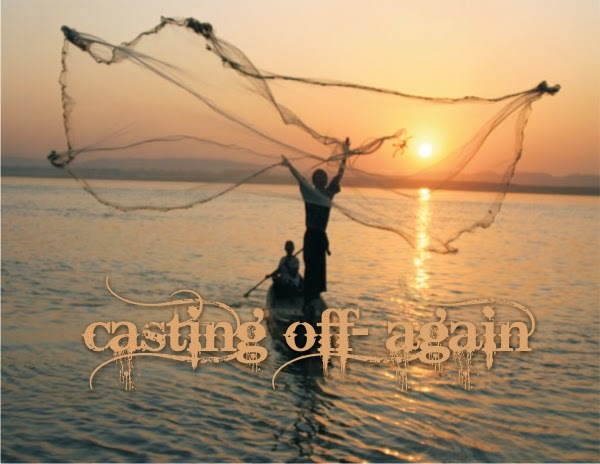 Will you keep fishing in the place God has called you? Jackie Pullings did not have fruit for 5 years and now 100s are getting saved. God wants to partner with this church for miracles. You will see great fruit. It’s time. Put your nets down again. Notice Peter encountered God like Isaiah. The sovereign power of God convinces people. We should ask for an outpouring of His spirit. We need to spend more time praying that strategizing. Then the commission came- I will make you fishers of men. Later 3000 get saved. God is calling us to partner with him for a day of power. Miracles to authenticate the preaching of the gospel. Word of Grace is an Evangelical (Born Again), Spirit filled (Charismatic), Reformed, English speaking church in Pune that upholds the Bible as God's inspired Word for life. We are a church community that have people from every part of India and parts of the world. We are here to put the Great Command and the Great Commission into practice by equipping and releasing every member into works of service. To know more about us please log onto www.wordofgracechurch.org.